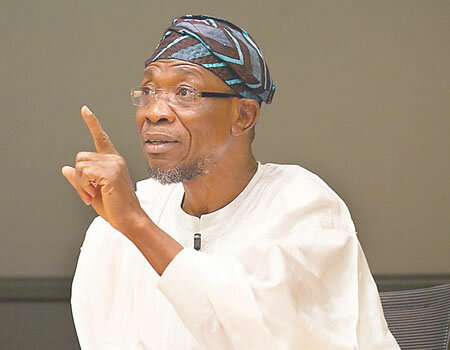 Osun State Governor Rauf Aregbesola who doubles as Chairman, Technical Sub-Committee of the tripartite committee on national minimum wage, has advised workers in the country not to overstretch their luck by insisting on a minimum wage that might prove difficult to implement. He said current economic realities in the country may not support wage increase for workers. He also warned them to reconsider their stand by sticking to an emolument that might be implementable and douse further controversies. He gave the advice at the public hearing on national minimum wage held at the National Universities Commission auditorium in Abuja on Thursday. Recall that workers in the country under the auspices of the Nigeria Labour Congress (NLC) and Trade Union Congress (TUC) have been agitating for a new minimum wage to check rising inflation on their monthly earnings. They are asking the Federal Government to shore up the national minimum wage from N18,000 to N66,500. NLC in its presentation argued that N66, 500 is fair enough for a government that is serious about welfare of workers to implement. Aregbesola said the task of the Committee cannot be adequately carried out without the due consultation which this public hearing provides. He said, “We have all along been concentrating on cost of living which is also important. However, in your contribution, let us also look at productivity index so as to get the best for the economy. NLC President, Ayuba Wabba said each time the issue of minimum wage is raised the issue of ability to pay has always come up. He however said the idea of the minimum wage is to protect the most vulnerable worker, which cut across both the public and private sector. He said, “The minimum wage means the minimum below which no employer of Labour should pay. We all know that workers work to earn a living and not just for the purpose of working or because you want to be a Good Samaritan. Every worker work to earn a decent living and that is the context of the minimum wage. Even the most capitalist country in the world, the United States has a minimum wage, but some states pay higher. He said the minimum wage review is evidence based anywhere in the world, stressing that the current N18,000 is no longer good enough. In his presentation, the FCT minister, Mohammed Bella represented by the director human resources managements, FCTA, Hajiya Amina Abubakar urged the committee members to address their minds also to other critical issues that pose threats to workers pay packages. He said we all will agree that the current as, are structure which begin with the N18,000 minimum wage fall short of what is required to guarantee a minimum living standard in the economy today. He said, “Since it came into force in 2011, series of economic forces including inflation have eroded its purchasing power. previous 2019: "Those asking Buhari not to run are his well wishers"